Pick salami from Hungary is undoubtedly the country's most famous salami product. 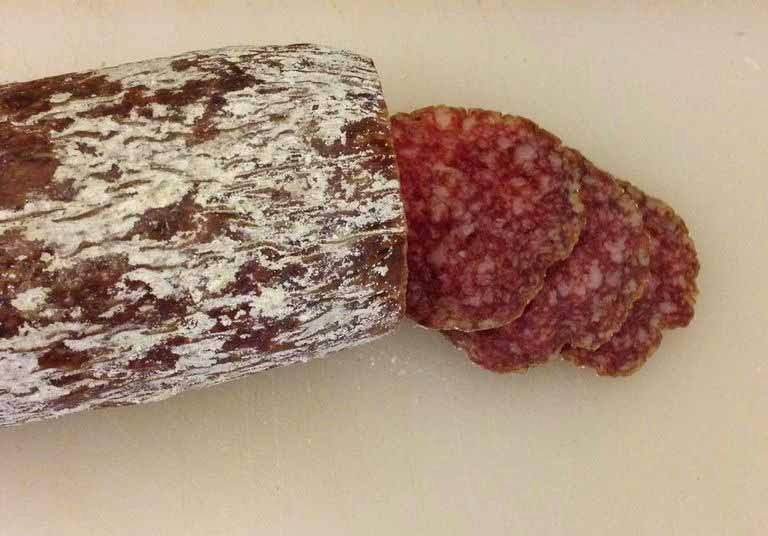 It's a winter salami which is a Hungarian type of cured salami made from mangalitsa (a breed of pig) pork, pork belly fat and spices like allspice, white pepper etc. On the outside there is a noble mould which is formed during ripening process. Spicy salamis (which often has the most flavors) are not my cup of tea and that's is probarbly why I like Pick salami so much because it's very flavourful but still mild. The dominat flavor of cured pork is rich and savoury but not too salty and in the spice department there's some reminiscence of allspice. The salami itself does feel more lean than similiar salami products even though it's kind of fatty.